Welcome to the Event Horizon! What's an event horizon? When you face a black hole, it's the point of no return... A distance from the singularity at which even light can never escape. If you cross the event horizon without being ionized, you will experience CurvedSpace just before your atoms are torn to pieces by tidal forces. It's totally worth it, especially if you're correctly reconfigured on the other side. 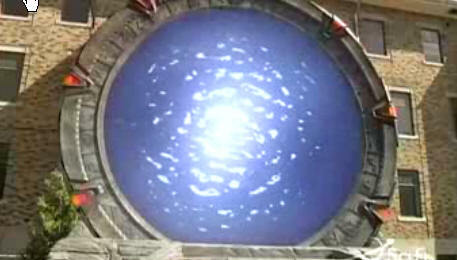 The "Event Horizon" is what I'm calling our new entrance site. - I'm trying to link all the important content to appropriate threads. See the "Discuss This Page" link at the top? When you see that, I want to hear from you! If you have questions, comments, or ideas to improve what you're looking at, please join the discussion! - We have simpler and updated rules. - While the latest posts aren't displayed on the homepage at the moment, the link provided there will give you a more accurate list. Active members have probably noticed that random threads mysteriously disappeared from the old homepage, which should not be the situation anymore. - The links at the top should make it easier to find everything on CurvedSpace. If you want to get somewhere immediately, instead just click the links near the bottom. If the links at the top do not work, please check that a browser extension isn't somehow interfering with them. - The fader is still here. Really. Look, over there on the homepage! Check the forums now and then for an opportunity to put stuff there. - We have just one chat applet again, but this time it's just what was the "advanced chat". If you're serious about IRC chatting, I would recommend the use of an IRC program, but the provided applet should work for everyone who has a recent version of Java. - A significant update to the forums! - A content site. Publish your own guides, comics, jokes, or pretty much whatever else along those lines. 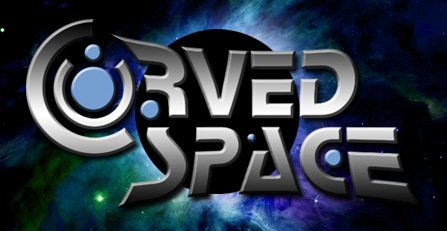 - A mobile version of CurvedSpace. Looking forward to the mobile version, as I now do most of my browsing on a 1024x600 netbook... didn't measure, but I'm assuming the site is optimized for 1600x1200 now? I like the look but it doesn't scale down nicely. Or at all. Can't really complain though; most of us are gamers after all, a bigass desktop monitor is more or less expected. ...there's no obligatory RS character in the banner anymore though? Also, I now have 1px of horizontal scroll on the forums, where I had none before.